Morning traders and welcome the 04-02-2019 Dax Technical Analysis article. I have written a number of times over the last few weeks that the trend on the DAX30 remains bullish. The facts are that since the end of December we have seen a successive series of ‘higher highs’ and ‘higher lows’. The most recent confirmed higher low is the 11011 low from mid-to-late January. In order for the trend to progress, we need to see a continued hold of 11011 followed by a break of 11324. The biggest challenge at the moment is the lack of bullish momentum. Well, the lack of any momentum. We’re really struggling to make any significant progress out of this range. On the daily chart, the candle bodies (six in a row including today) are all looking strangely compressed. 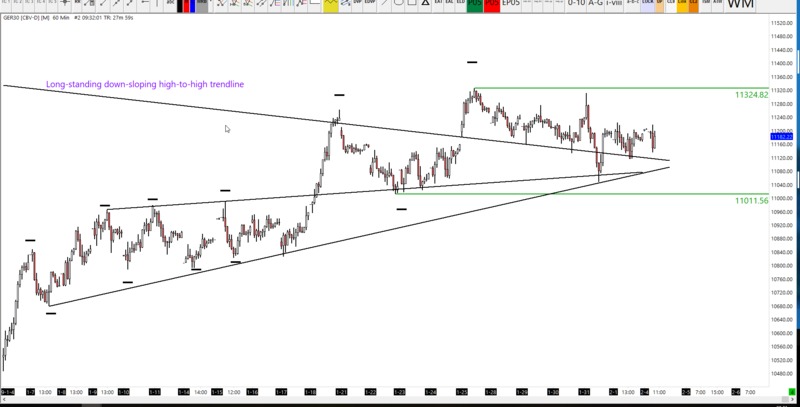 If we zoom in and take a look at the 60 minute chart you can still see traces of the trend. 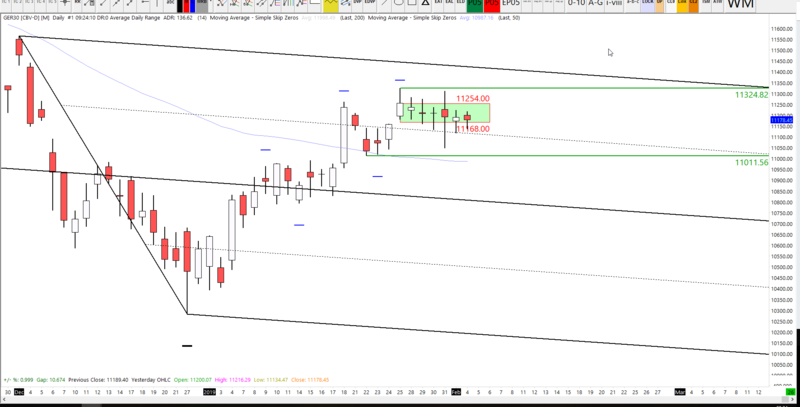 However,11324 is the level that needs to be taken out in order for this bullish trend to continue. We have already attempted to do this once, but failed. The second attempt will be the most telling. 11,011 is the trend defining level. The trend remains bullish above this level. Fridays range was just 107 points. The value area was only 34 points. The point of control was in the middle of the profile, and the value area was central in the overall profile. The profile is normal, with no obvious low volume pockets. 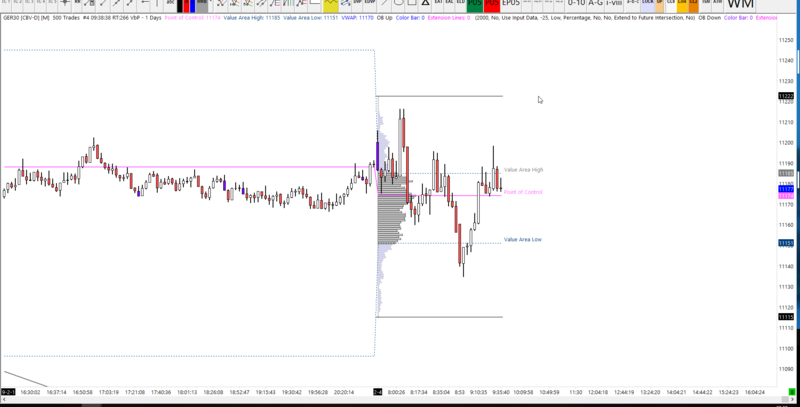 We have already broken above the value area high, and below the value area low and we are now trading back around the point of control.